Director Jörg Buttgereit In Person at the American Cinemateque in Los Angeles! 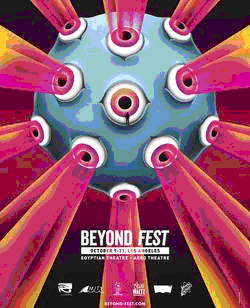 The notorious German director joins BEYOND FEST 2013 with his unique shockers NEKROMANTIK and SCHRAMM: INTO THE MIND OF A SERIAL KILLER. Only Existing 35mm Prints! Due to extreme sexual and graphic violence, no one under 18 will be admitted. Discussion between films with director Jörg Buttgereit. Thu, Oct 24, 2013 • 7:30pm. 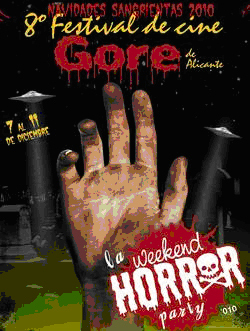 Jörg Buttgereit will also be a guest at the Housecore festival in Austin, Texas from 25th to 27th of October 2013 to present his movies. New Jörg Buttgereit DVD "MONSTERS OF ARTHOUSE" will be out in Oktober 2013 from Media Target distribution in Germany. 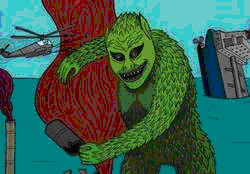 The codefree DVD compiles the 3 Buttgereit stageplays GREEN FRANKENSTEIN, SEXMONSTER! and VIDEO NASTY with English subtitles. 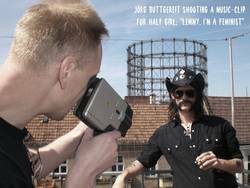 Jörg Buttgereit shot the music-clip "Lemmy, I`m a Feminist" on Super 8 film for the German girl group "Half Girl". Director Jörg Buttgereit is teaming up with Andreas Marschall and Michal Kosakowski for the three-part independent Horror-anthology GERMAN ANGST. This will be something of a return for Buttgereit, who’s spent much time focusing on theater and radio plays in recent years. Visit the GERMAN ANGST website. 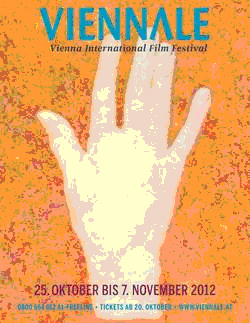 “They were looking for something different, but something different saw them first.”- At the invitation of the Viennale and armed with this tagline, the well-known German filmmaker, critic and aficionado Jörg Buttgereit has put together a program of about a dozen films, each of them playing with fire in their own way: a fire that suddenly flares up in flames of eeriness, horror and fear. The “Something Different” program is based on a small curatorial experiment. The starting point for this film presentation was an advertising slogan for the classic horror movie THE HILLS HAVE EYES, whose trailer starts the words, “They were looking for something different, but something different saw them first.” A sensational slogan as well as a wonderful definition of the elementary ambivalence between cinema and audience. 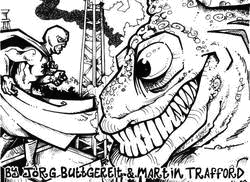 Jörg Buttgereit will be a guest at the "Days of The Dead" from 6-8 of July 2012 at the Wyndham Indianapolis West, located in Indianapolis, IN. Days of the Dead's primary goal is to bring back the concept of the genre convention being a welcoming communal gathering of like minded friends and fans and not just another "pay-and-go" autograph show that has become an all too common experience in the convention scene. 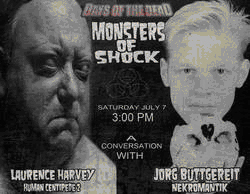 Join LAURENCE HARVEY (Human Centipede 2) and JORG BUTTGEREIT (Nekromantik 1 and 2, Der Todesking) for a special dual panel with the MONSTERS OF SHOCK. Both gentlemen will be not only taking questions from the audience but also engaging each other, in a casual, intimate conversation sure to cover everything from cult cinema to necrophilia, happening Saturday, July 7th only at DAYS OF THE DEAD: Indianapolis. OSAKA POPSTAR is the pop-punk multimedia music and art project led by singer/producer John Cafiero. The Band consists of the groups' founder, frontman and producer John Cafiero with a revolving line-up of legendary special guests in the backing band, including members of the MISFITS, BLACK FLAG, RICHARD HELL & THE VOIDOIDS, THE RAMONES and more. 20 years ago, Buttgereits NEKROMANTIK 2 proved to be too much for the German authorities to tolerate. A movie theater premiering the film was raided by the police and the film was banned for several years until it was labled "art" by a German court. 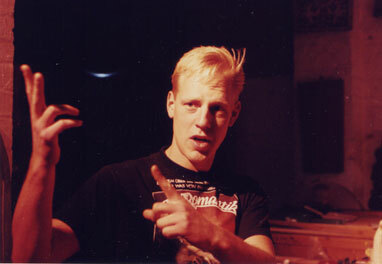 Jörg Buttgereit will be celebrating the 20th anniversary of NEKROMANTIK 2 at the Festival de cine Gore de Alicante in Spain on December 8/ 2010. ¡¡ COMIENZAN LAS NAVIDADES SANGRIENTAS 2010 !! CAFE-TERROR presenta el "20 Aniversario de la película NEKROMANTIK 2". Proyección especial de la película con la presencia del director Alemán Jörg Buttgereit. Al terminar, habrá una charla-coloquio con el director, y ronda de preguntas del público. 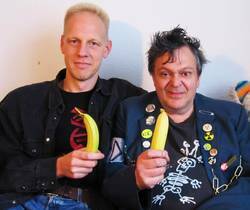 2012: Stageplay GREEN FRANKENSTEIN + SEXMONSTER im Theater Dortmund.